The Trump administration has marked the past few months of the global economic history with a series of global trade war provocations, imposing tariffs on goods originating from America’s traditional trade allies and creating multiple global trade barriers. China, on the other hand, has shown a surprisingly resolute commitment to the WTO and more generally, to the existing global multilateral trade arrangements. The new policy in the context of China’s rising trade multilateralism is Beijing’s masterplan for the Greater Bay Area. The masterplan is designed to link Hong Kong and Macao with nine major manufacturing hubs in the Pearl River Estuary. The Greater Bay Area is an initiative directed at trade liberalization and removal of trade barriers between China and its trade partners, with Hong Kong emerging as a legal hub for international law protection of Chinese outbound investment. Amidst the lingering discontent with what it loosely described as China’s “unfair trade practices and intellectual property theft”, on 22 March 2018, the US announced its intention to impose tariffs of USD50 billion on a large number of categories of Chinese goods. On 2 April 2018, the Chinese Ministry of Commerce imposed tariffs on 128 products originating from the USA. On 3 April 2018, the US published a list of over 1,300 categories of goods originating from China on which it planned to impose tariffs. On 4 April 2018, China imposed additional 25% tariffs on airplanes, automobiles, and soybeans originating from the US. On 5 April 2018, the US announced that it would consider USD100 billion in additional tariffs. Further threats ensued. On 15 June 2018, the White House announced that the US would impose a 25% tariff on USD50 billion of Chinese goods, with the first USD34 billion commencing on 6 July 2018. On 5 April 2018, China filed a request for consultation with the WTO. China’s WTO filing sent a message of hope to the world that China’s preference is for multilateral trade arrangements and the WTO dispute resolution mechanism, rather than for a fully-blown trade war. On the same date, the global markets recovered from the early April uncertainty, only to plunge again following further tariff threats. The ensuing bilateral trade uncertainty has impacted not only global markets, but also – more specifically – the US and Chinese markets. In China, for example, growth in manufacturing sector slowed down in June, with the Chinese manufacturers facing rising input costs and a noticeable decline in export orders. With the US markets becoming uneconomical for China as a result of the newly imposed tariffs and trade barriers, China is seeking new outbound markets, as well as new supply markets. It is against this backdrop that China’s multilateral trade initiatives have gained force. In line with their respective trade policies, the US is breaking down its multilateral commitments, including recently to the WTO with its controversial draft bill on “Fair and Reciprocal Tariff Act”, and earlier last year with the US withdrawal from the Trans-Pacific Partnership Agreement and from a number of other global multilateral initiatives. China, on the other hand, continues to pursue its global multilateral trade initiative along Belt & Road. The Belt & Road Initiative is a well-reported China-led global multilateral investment and trade programme. China’s Greater Bay Area is perhaps less known to the world, although an integral part of China’s multilateral efforts and of a crucial importance to Hong Kong. The total population of the Greater Bay Area cities is nearly 67 million. This area is more densely populated than the Tokyo Metropolitan Area - the world’s largest city cluster with a population of 44 million. The Greater Bay Area has a combined GDP of US$1.34 trillion, which is only a bit behind the US$1.61 trillion of the Greater New York and US$1.78 trillion of the Greater Tokyo. Shenzhen – an important city of the Greater Bay Area - is a strong scientific and technological innovation hub. The Greater Bay Area is at the heart of a network of supply chains that link Guangdong to the rest of the world and is able to draw on a strong manufacturing base. 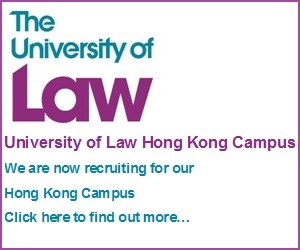 Hong Kong provides a sophisticated judicial system along with a major legal and financial services hub. On this basis, in January 2009, the National Development and Reform Commission issued an “Outline of the Plan for the Reform and Development of the Pearl River Delta Region (2008-2020)”. The outline suggested a plan to create a major megalopolis in the Pearl River Estuary by uniting China’s Special Administrative Regions Hong Kong and Macau, and nine South Chinese manufacturing hubs Guangzhou, Shenzhen, Zhuhai, Foshan, Huizhou, Dongguan, Zhongshan, Jiangmen, and Zhaoqing. In September 2011, a group of trade experts from Hong Kong, Macau, Shenzhen, Dongguan, Guangzhou, Zhuhai, and Zhongshan – all major South China legal, financial, manufacturing, and research and development hubs – issued a study “The Action Plan for the Bay Area of the Pearl River Estuary”. The study aims at creating a single area of unimpeded trade, manufacturing, research, development, where there would be free circulation of goods, services, capital, and resources, within the Greater Bay Area. In July 2017, the National Development and Reform Commission signed a framework Greater Bay Area Agreement with the governments of Guandong, Hong Kong, and Macau. The framework agreement set the premise for the development – in particular for Hong Kong – the safeguards for Hong Kong’s “one country, two systems”. It then outlines the key cooperation areas, including infrastructure connectivity (of which the Hong Kong-Zhuhai-Macau bridge has become a part), market integration, development of a global technology and innovation hub (including the Hong Kong – Shenzhen Innovation and Technology Park in the Lok Ma Chau Loop), fostering new smart industries, and a number of others. It is expected that Beijing will authorise the establishment of a free trade port in the Greater Bay Area as well. The detailed masterplan for the Greater Bay Area integration was due to be released earlier this year. However, the trade uncertainty with the US appears to have delayed the process. In light of the China-US trade disagreements, Beijing might want to adjust its initial masterplan to ensure the multilateral nature of the Greater Bay Area. Hong Kong enjoys a high degree of autonomy as China’s Special Administrative Region. Article 13 of the Basic Law entitles Hong Kong is to conduct its own relevant foreign affairs. Within that ambit, Hong Kong maintains nineteen bilateral investment treaties (BITs). These BITs offer international law investment protection to Hong Kong-based investors who invest in Hong Kong’s nineteen investment treaty partners. In essence, these treaties protect Hong Kong investors from expropriation, nationalization, denial of justice, and other undue government interference with Hong Kong investors in the host States. These treaties also guarantee fair and equitable treatment to Hong Kong investors and their investments, full protection and security, as well as protection against unreasonable or discriminatory measures that impair the management, maintenance, use, enjoyment or disposal of the investment. The majority of these treaties also contain umbrella clauses that typically operate to elevate contract breaches to treaty breaches, thus potentially engaging the host State’s international law liability for breaches of contracts with Hong Kong investors. Hong Kong’s BITs guarantee that Hong Kong investors will not be subjected to treatment less favourable than the domestic investors of the host States. The BITs also guarantee the return of investments, as well as admittance of Hong Kong investments and often transparency of laws. Hong Kong’s BITs contain subrogation provisions. These provisions mean that a Hong Kong investor may submit a compensation claim to its political risk insurer in the insured event (for example, in cases of expropriation or nationalization of assets in the host State), and the host State will recognize the transfer from the investor to the insurer of the right to claim against the host State with respect to the investment. These provisions lay foundation for the flourishing political risk insurance businesses out of Hong Kong, servicing Chinese investors who channel their investments in Belt & Road through Hong Kong. Finally, the BITs contain the “teeth” of investment protection mechanisms – dispute resolution provisions allowing Hong Kong investors to sue the host States in international arbitration as opposed to resolving investment disputes in domestic courts of the host State. 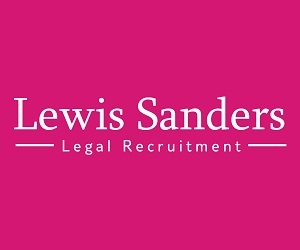 Hong Kong BITs constitute a fundamental departure from the Chinese BITs, at times offering more balanced international law protections to those Chinese investors who invest through Hong Kong. China maintains an extensive network of over 120 BITs. The sheer number of these BITs has allowed investment and trade lawyers to categorise China’s BITs into three generations. The first generation Chinese BITs was concluded in 1982-1989. These BITs contain very limited investment protections. This is largely because the first generation of Chinese BITs’ dispute resolution provisions are limited to determining the amount of compensation for expropriation, thus preventing (in most cases) the Chinese investors from bringing their disputes to investment arbitration. The second generation of China’s BITs emerged after China acceded to the ICSID Convention (1990-1997). These treaties refer to ICSID as a venue to arbitrate investor-state disputes concerning the amount of compensation for expropriation. They also offer a somewhat limited protection to Chinese investors, for the same reason. The third generation of China’s BITs (1998 – present) has removed “the amount of compensation for expropriation” wording from Chinese treaties, allowing for much stronger protections to Chinese investors. This is a major breakthrough in China’s treaty policy. Unfortunately, the number of the third generation BITs is somewhat limited compared to China’s previous treaty generations. This patchwork creates a somewhat unpredictable investment protection environment for the Chinese investors in Belt & Road. While the latest generation of China’s treaties offers substantive investment protections to Chinese investors overseas, it remains an open question whether China’s treaties extend to Hong Kong. In other words, would a Hong Kong investor be able to benefit from China’s investment treaties to protect its outbound investment? This question has not been settled in international law. In a relatively recent investment dispute between a Macanese investor and Laos, China’s Embassy in Vientiane issued a note verbale in which it clarified that the China-Laos BIT did not extend to Macau. 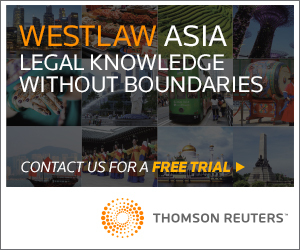 The application of the China-Laos BIT to Macau was then at the heart of Singapore set aside proceedings in the Sanum v Laos arbitration. There, the Singapore Court of Appeal decided that the China-Laos bilateral investment treaty did extend to Macau, and as such, protected Macanese investors. There is no doubt that should a similar question arise with respect to Hong Kong, the Sanum v Laos saga and the status of China’s SAR in the context of investment protection will be brought to light. The Hong Kong treaty program is much more balanced than China’s first BIT generations. It is designed specifically to protect Hong Kong investment overseas. In addition to its nineteen BITs, Hong Kong also maintains six multilateral treaties with inbuilt investment protection mechanisms. Most of these multilaterals are free trade agreements – aimed at liberalizing trade and investment and at removing trade barriers. Hong Kong’s latest free trade agreement was concluded in November 2017 with the ASEAN block. It is one of the most sophisticated multilateral treaties in the region. Importantly, it protects Hong Kong investors in the ASEAN block, where those investors are traditionally active. The Greater Bay Area is designed to include – in addition to Hong Kong – Macau, Shenzhen, Guangzhou, and a number of other major South Chinese cities. It is open to those investors operating in the Greater Bay Area to channel their overseas investments through Hong Kong, in order to benefit from the international law protection of Hong Kong’s treaty programme. While the Trump administration has taken a leap back in time towards the bygone era of trade bilateralism, the Chinese Government continues implementing its global multilateral trade initiatives, including the Belt & Road. The juxtaposition of these two mutually exclusive trade policies – Trump’s policy of isolation and bilateralism, and Xi’s policy of trade liberalization and multilateralism – has played a peculiarly important role for Hong Kong. In the past few years, the Chinese Government has been developing the Greater Bay Area in the context of its multilateral Belt & Road investment and trade initiative. The Greater Bay Area is a planned megalopolis integrating Hong Kong and Macau into a single investment and trade zone with nine major South Chinese cities including Shenzhen and Guangzhou. The Greater Bay Area is strategically designed to benefit from the cities’ immediate proximity to manufacturing hubs, scientific and technological centres, as well as to legal and financial services centres in Hong Kong. Through its network of bilateral investment treaties and free trade agreements, Hong Kong offers to its investors – and to the Greater Bay Area investors - significant substantive investment protections for their operations overseas, in particular along China’s Belt & Road Area. Hong Kong’s latest acquisition – its free trade agreement with the ASEAN block – expands that protection to investment-hungry and resources-rich Southeast Asian States. With its new free trade agreement with the ASEAN block, Hong Kong is placed on Southeast Asia’s investment protection map for Chinese outbound investment, in particular originating from the Greater Bay Area. Ms. Boltenko is a registered foreign lawyer with Fangda Partners in Hong Kong. She specialises in investment arbitration. 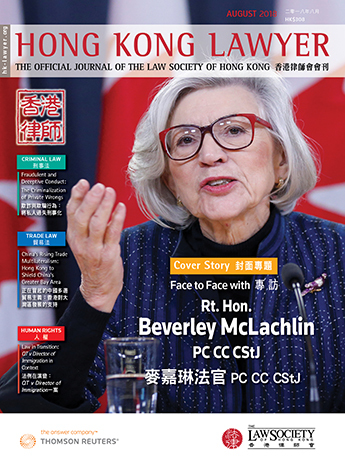 She has acted as legal counsel in investor-state disputes under the auspices of the Permanent Court of Arbitration, and as tribunal secretatry in dozens of commercial disputes, both ad hoc and institutional (including SIAC, ICC, HKIAC, SCC), in a wide array of industries including oil and gas, infrastructure, construction, telecommunications, and pharmaceuticals. She is an adjunct lecturer at the University of Hong Kong. She chairs the ICC Hong Kong Commercial Law Practice Committee. She is listed as arbitrator on the HKIAC list of arbitrators, and on the AIAC, SIA, and CIETAC panels of arbitrators.